The summer programs are open to boys and girls, ages 3 to 16. 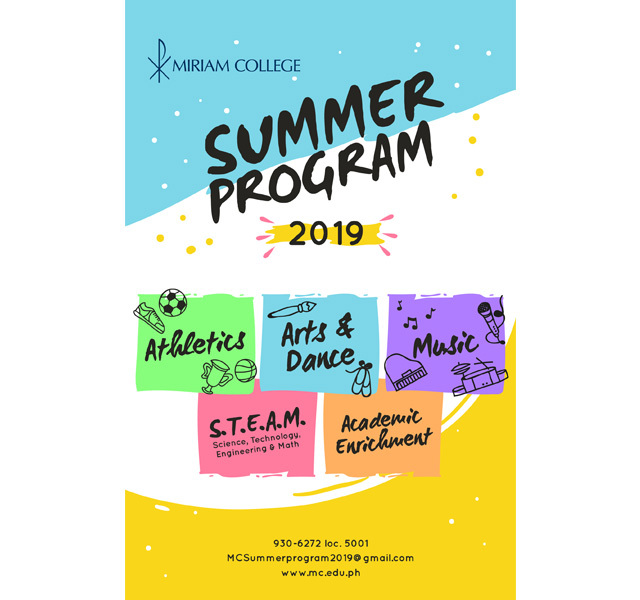 Miriam College is offering fun, creative, and cool summer activities designed to keep kids and teens engaged, entertained, and productive during their vacation. And they get to do this at the school’s spacious and green campus. Because of its strong science, technology, engineering, and math (STEM) program, Miriam College has organized summer classes in iCoding and engineering—but packaged in fun way that will challenge kids’ innovation and stir their imagination. Along with these are a variety of enriching lessons in art, music, sports, and more. The summer programs will run the entire month of April and May and are open to girls and boys ages 3 to 16. Kids will explore fairy tales from different points of view and think of solutions for each obstacle they encounter in the story. They could design a getaway vehicle for the heroine in Kate and the Beanstalk, come up with a method to help the goats of Three Billy Goats Fluff cross a bridge quietly, or even construct a reef to protect the little fish in Three Little Fish and the Big Bad Shark. Camp facilitators will use engineering concepts and a hands-on approach to engage children so they can better understand the engineering design process. The program is open for kids ages 4 to 7. Intended for middle schoolers, this summer coding program aims to promote computer science to young learners and, at the same time, enhance their logical skills. Students will learn the basic concepts of coding and the Scratch programming language, which will be used to teach them to create interactive stories, animations, and games. Kids explore, create, and stay happily active during the summer as they develop social, fine, and gross motor skills. These are fun programs for tots ages 3 and up that will help them develop social, fine, and gross motor skills through games, stories, crafts, and other activities. The programs will also help develop their reading readiness and numeracy skills. Your kids can spend the summer discovering new flavors and honing their creativity in the kitchen. Perfect for kids ages 8 to 11, this program will focus on the fundamental concepts of cooking and application of basic culinary skills. 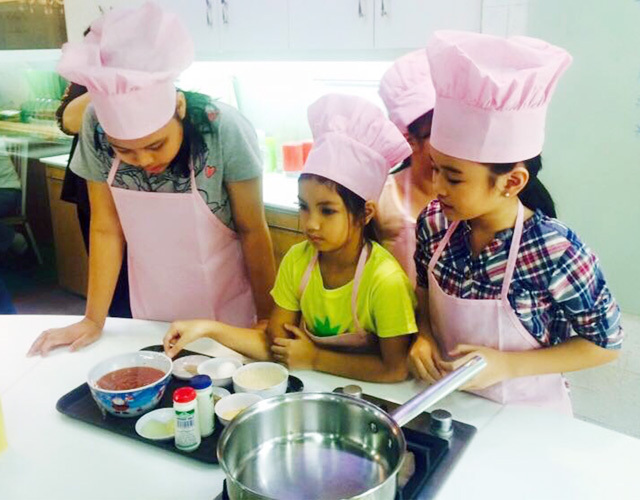 Children will learn how to use kitchen tools, measure and combine ingredients, and cook using basic kitchen equipment. They will also get to work in a group setting, develop a taste for new and exciting flavors, and fuel their creativity and imaginations. Here, kids will explore the world of three-dimensional art through lessons on fundamental art concepts. They will also learn skills in constructing and designing 3-D art projects using various materials like paper, cardboard, clay, and plaster. This program is open from April 25 to May 9, for kids ages 6 to 11. It offers contemporary a cappella and vocal training to teens 14 years old and above. Students will learn vocal technique, musicianship, and group harmony inspired by groups like ConChords, Acapellago, and Pentatonix, and by music from movies like Pitch Perfect. It will run from April 22 to May 24. 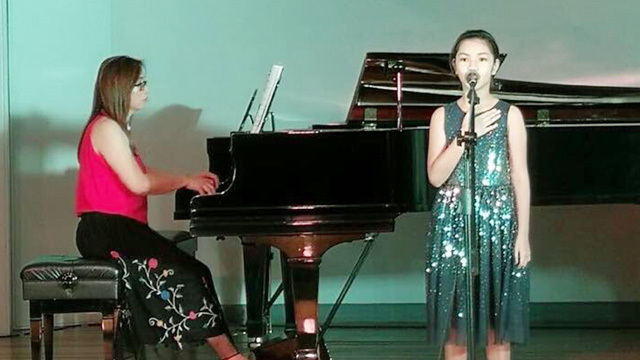 Your child will get to showcase what she’s learned in music through a much-awaited recital at the end of her lessons. Supported by the school’s Center for Applied Music, in this program, award-winning music teachers will guide your children in learning the appropriate skills and techniques in playing a musical instrument of their choice. Kids can choose among individual lessons in voice, violin, guitar, piano, drums, flute, and many more. Each lesson culminates in a recital that will showcase what they have learned. This is open to all ages from April 22 to May 24. Designed for the young child who loves to move and dance to music, this will be held in the school’s very own Ballet Center. Lessons will put emphasis on motor skills development, coordination, and balance. This is open for kids ages 3 to 4. Baby Ballet is also offered for kids 5 to 6. The program is offered from April 23 to May 23. This program aims to develop basic skills in young swimmers. It will also cultivate in them the values of courage, perseverance, discipline, and love for water in a recreational, nurturing, and fun environment. Different levels are offered for different age groups, 5 and up. It will run from April to May. For more information on Miriam College’s summer programs, call 930-6272 loc. 5001, or check the complete list of program offerings by visiting www.mc.edu.ph/summerprograms. This article is sponsored by MIRIAM COLLEGE FOUNDATION INC..